Plain abdominal radiograph shows scarce air-fluid levels. Short bowel follow through series show dilatation of small bowel loops, but the transit is preserved - contrast fills colon, which is not dilated. 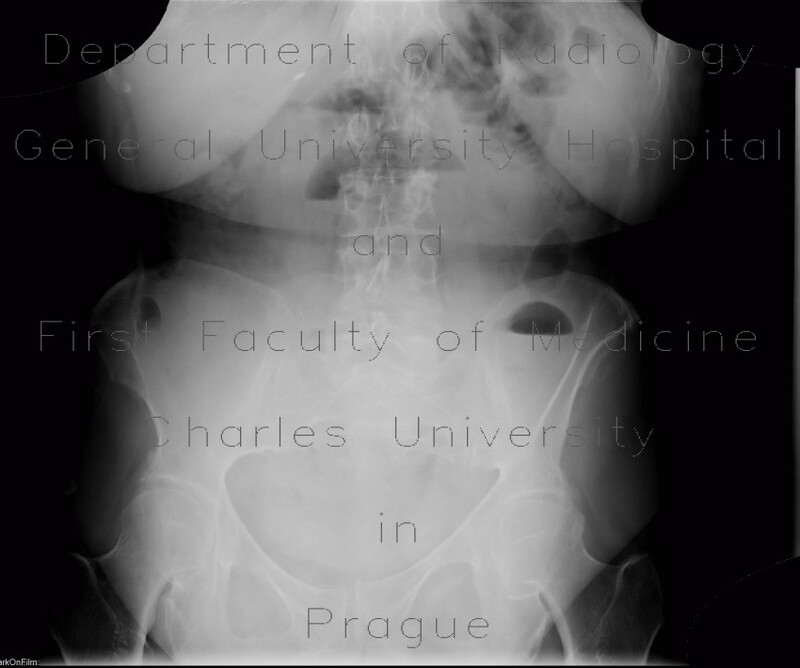 Ultrasound shows dilated small bowel loop, which is filled with liquid, and therefore cannot be seen on plain abdominal radiograph. Ultrasound also showed inflammatory thickening of intestinal wall.